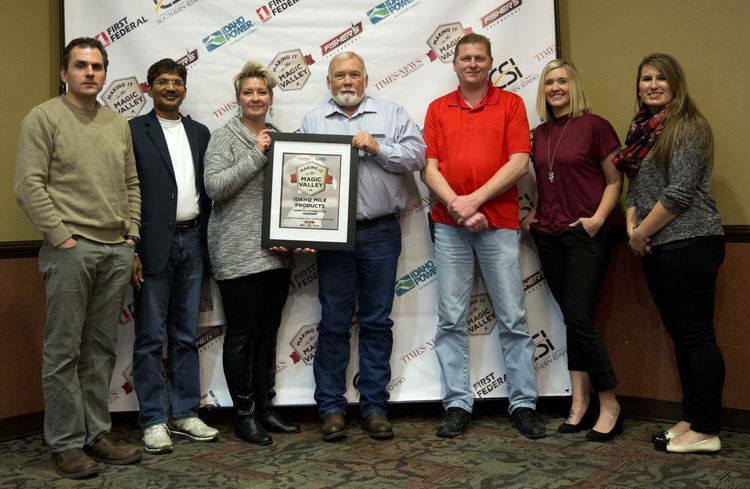 (Jerome, ID) On January 31, Idaho Commerce honored Idaho Milk Products with the Making It In The Magic Valley 2017 Award for companies with 50+ employees. This award recognizes Idaho Milk Products as a successful manufacturing company in the Magic Valley that supports local communities and has world-class sustainability programs in place. We are grateful and proud of our great employees who make it possible to be at the forefront of companies in the Magic Valley.